Described as “an Enlightenment allegory, veiled in Masonic ritual,” The Magic Flute was Wolfgang Amadeus Mozart’s final opera. 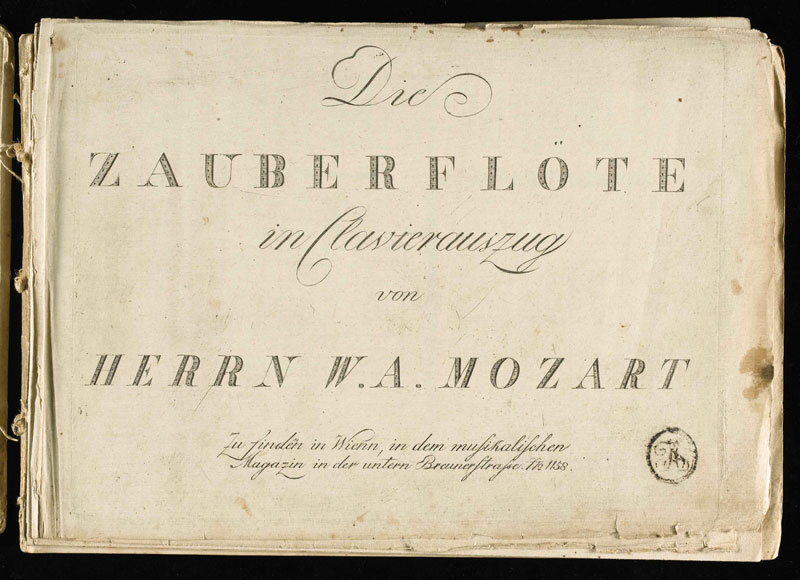 A prolific composer, Mozart’s portfolio of works included over six hundred pieces of symphonic, chamber, operatic, and choral music. Of all his compositions, The Magic Flute receives a distinctive status due to its critical acclaim and public intrigue over the Opera’s esoteric themes. The fact that Mozart and his collaborator Emanuel Schikaneder were both Freemasons has only added to the mystery surrounding his enigmatic masterpiece. Premiering on September 30, 1791 at Schikaneder’s Theatre in Vienna, The Magic Flute tells the tale of a prince compelled to complete a series of Herculean tasks, including vanquishing a wicked queen, assisted by the Princess Pamina. 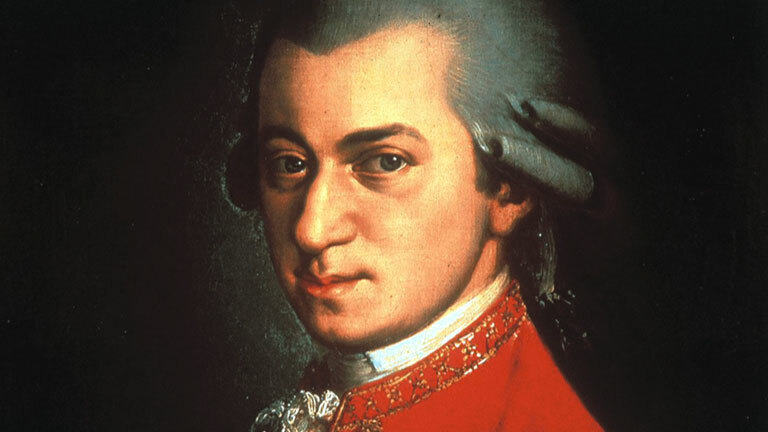 Mozart conducted the orchestra until his illness and death in December of 1791. Experienced through the eyes of the hero, the viewer shares in his enlightenment as Tamino gains knowledge and insight. At the beginning of the Opera, the prince believes without questioning what he sees and hears, however, through the journey, he matures in perception and understanding as he is eventually united with Pamina as members of Sarastro’s order. Set in ancient Egypt, Prince Tamino is lost and pursued by a serpent. Collapsing from exhaustion, Tamino is saved by three ladies inthe service of the Queen of the night, who kill the serpent. When Tamino awakens, he meets a bird catcher named Papageno, who resembles a bird himself being covered with plum age. When Papageno boasts that he strangled the serpent, the three ladies reappear and punish Papageno for lying to the Prince. The women place a padlock over Papageno’s mouth. After he learns that the women killed the serpent, the Prince expresses his appreciation for their actions in saving his life. The women give him a picture of Pamina, the beautiful daughter of the Queen of the Night, who they say has been kidnapped by the evil magician Sarastro. Tamino instantly falls in love with Pamina. The Queen appears and entreats Tamino to rescue Pamina promising that he can marry Pamina if he is successful. He agrees to the quest, and the women give Tamino a magic flute that can change men’s hearts. Removing the padlock from Papageno, the women present him with silver bells to be used for protection. Papageno and Tamino set forth on their quest, guided by three boys. In Sarastro’s Palace, Pamina is guarded by a villain named Monostatos, who is attempting to seduce her. Sent ahead by Tamino, Papageno arrives and terrifies Monostatos into fleeing. Papageno then announces to Pamina that her mother has sent Tamino to rescue her. Pamina rejoices to hear that Tamino is in love with her. Lead by the three boys, Prince Tamino arrives at a temple. He finds three doors, but he is denied entrance to the doors of Nature and Reason. When he tries the third door, the Gate of Wisdom, a priest appears and explains that Sarastro is good and the Queen is the evil figure. After the priest leaves, Tamino plays his magic flute in hopes of summoning Pamina and Papageno and ward off wild beasts. The tones of his magical instrument are returned with the sound of Papageno’s bells, causing Tamino to leave the scene. Papageno appears with Pamina and they are apprehended by Monostatos and his servants. Papageno plays his magic bells, and the villains are enchanted to release Pamina and Papageno. A council of priests, including Sarastro, deliberate and determine that Tamino shall be allowed to have Pamina if he succeeds in passing through the Temple of Ordeal. The council does not want Pamina to be returned to her mother, the Queen of the Night, who they believe has infected the world with superstition. Subsequently, Sarastro prays to the gods Isis and Osiris, askings for the protection of Tamino and Pamina by requesting that the Gods take the two into their heavenly dwelling place should they meet death in the course of their trials. Back at the Temple of the Ordeal, Tamino is cautioned that this is his last chance to turn back. He responds that he will undergo every trial to win his Pamina. The priest also asks Papageno if he will concede to every trial, but he replies that he is uninterested in obtaining wisdom. The priest responds that Papageno may receive a woman, Papagena, if he undergoes the trials. Papageno agrees to also undergo the trials. Tamino and Papageno are instructed that their first trial is that they must remain silent under the temptation of women. Three ladies appear and tempt them to speak. Tamino and Papageno remain firm, although Tamino must constantly restrain Papageno commanding him to be “Still!” Papageno confronts one of the priests demanding to know why he must undergo tests if Sarastro already has a woman that wants to be his wife. The priest responds that it is the only way. In a garden, Monostatos approaches and gazes upon a sleeping Pamina with rapture. The Queen of the Night appears and tells Pamina that she must kill Sarastro if she wishes to remain her daughter. She gives Pamina a dagger with which to kill Sarastro. Observing the conversation, Monostatos tries to force Pamina to love him by telling her that he will reveal the exchange. Sarastro appears and rebukes Monostatos, while reassuring Pamina. Approached by Pamina, Tamino and Papageno continue in their ordeal mandated silence. Papageno can no longer hold his tongue, but Tamino remains firm. Since Tamino refuses to answer, Pamina believes he no longer loves her and is heartbroken.Yearning for his wo man, Papageno plays his magic bells. At the first ordeal, an old woman approached Papageno declaring herself his bride. Reappearing, she has transformed herself into the young and pretty Papagena. The priests send her away with thunder and lightning. Frightened, She vanishes and Papageno is miserable. Shattered by Tamino’s rejection, Pamina attempts to commit suicide but is stopped by the three boys. Counseled by two men in armor, Tamino is given advice and instruction. Sarastro and Pamina appear, and Tamino is allowed to speak with her and assures Pamina of his love. Pamina and Tamino are allowed to undertake their final ordeals together, fire and water. Pamina leads him through the ordeals, and they triumph with the help of the magic flute. Contemplating suicide, Papageno is distraught wishing for Papagena. Three Boys appear and remind him to use his magic bells, which indeed summon Papagena. The two are united, stuttering at first in astonishment. Seeking to destroy the temple, Monsanto’s and the Queen of the Night reappear, but they are magically cast out into eternal night. Sarastro bids the young lovers welcome at the entrance of the Temple and unites them. The members of the Temple praise Tamino and Pamina for their success in enduring their trials and give thanks to the Gods. At the age of twenty-eight, Mozart joined a Masonic Lodge in the autumn of 1784 and spent a total of seven years as a Mason. Many of his compositions during this period demonstrate his dedication to Masonry, including his final masterpiece, The Magic Flute. 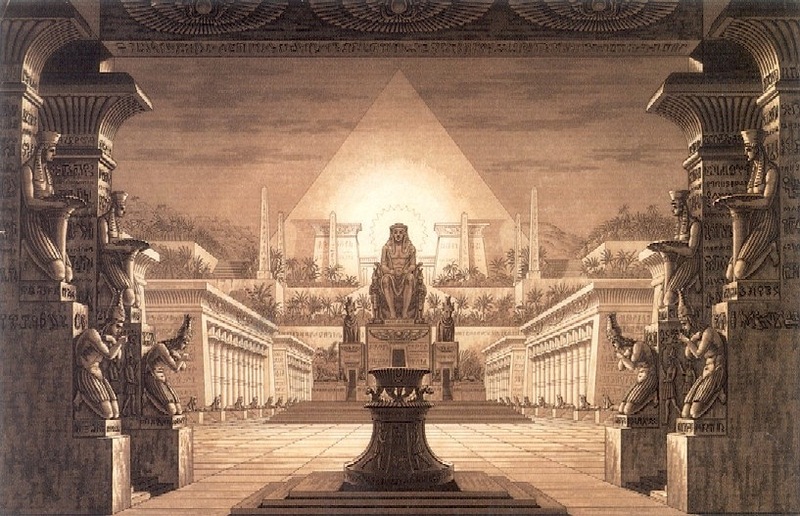 The Opera celebrates several integral Masonic themes: the importance of morality, the dest ruction of ignorance through enlightenment, and the virtues of knowledge, justice, wisdom, and truth. Moreover, the Opera includes the evocation of the four elements of earth, air, water and fire and the requirement of silence. The number three is repeated throughout the story and in the music of opera: three women in service to the Queen of the Night, three boys, three doors to the Temple, three loud chords at the beginning of the Overture, the three flats of E-flat Major key throughout much of the score. Is purified by fire, water, air and earth. Viewed within a historical and political context of the Age of Enlightenment, the Opera’s Queen of the Night was seen to represent the Austrian empress Maria Theresa who vehemently opposed Freemasonry. Her antagonist, Sarastro, symbolized an enlightened sovereign who ruled according to the principles of reason and wisdom. Providing an allegory to the ideal progress of humanity towards enlightenment, Tamino journeys from chaos as represented by the serpent through the religious superstition of the Queenof the Night, and eventually arrives at rational enlightenment at the Temples of Sarastro.